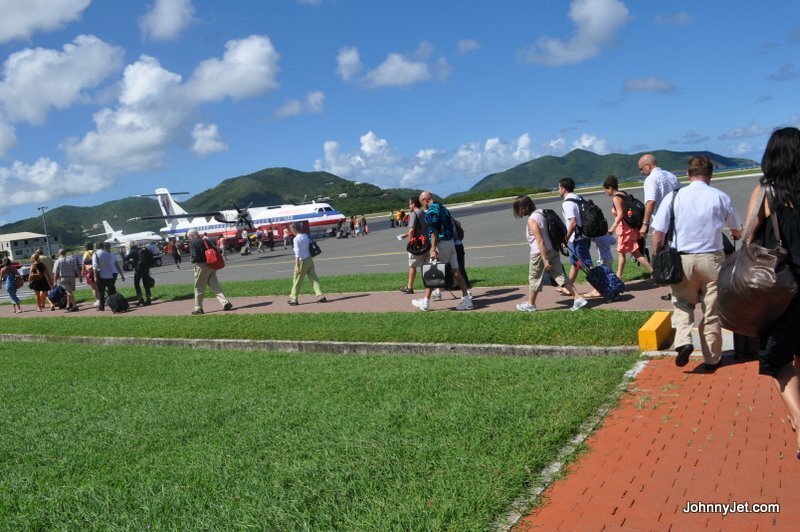 Tortola to San Juan takes just 37 minutes on American Eagle’s ATR72. 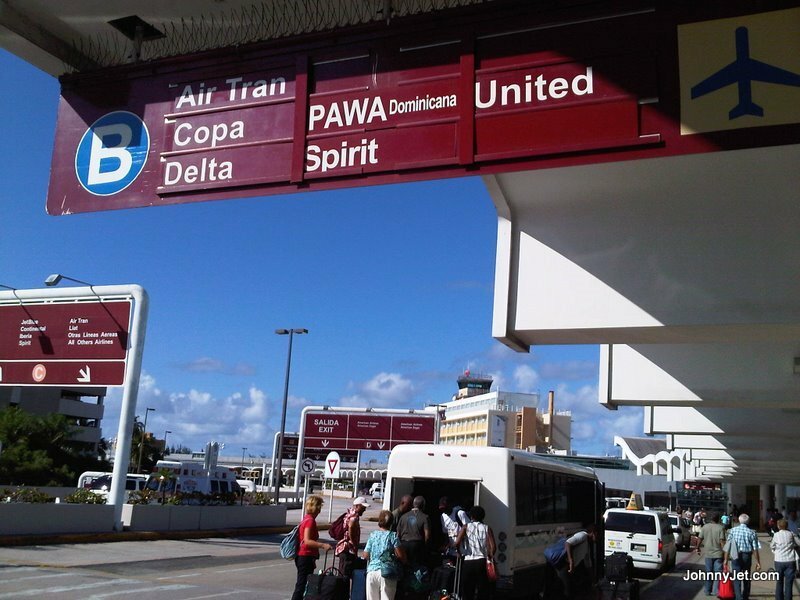 What was frustrating is that the U.S. Customs line in Puerto Rico took about the same amount of time as the flight–they had just one agent working the line for U.S. citizens while three agents just stood around chatting with each other. 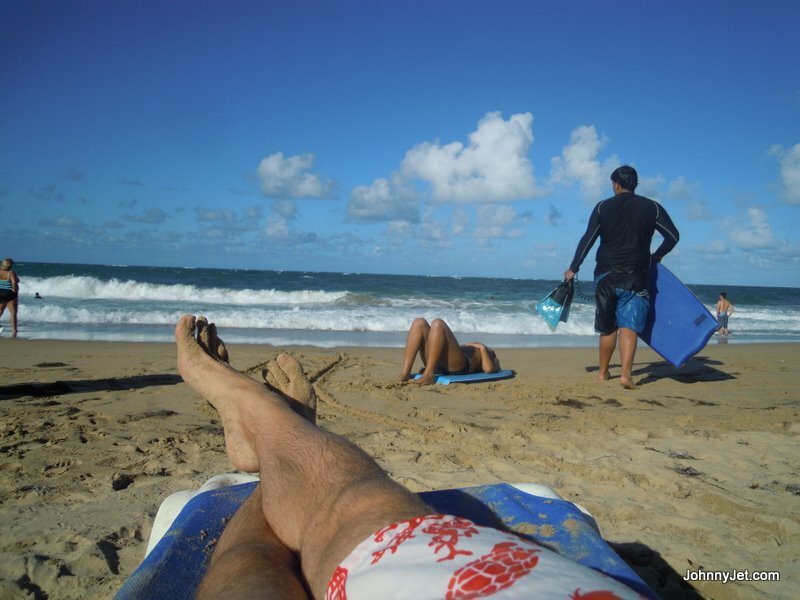 But once I cleared customs all my frustrations went away, because the lone agent was friendly and I reminded myself I was in Puerto Rico, so life was all good. 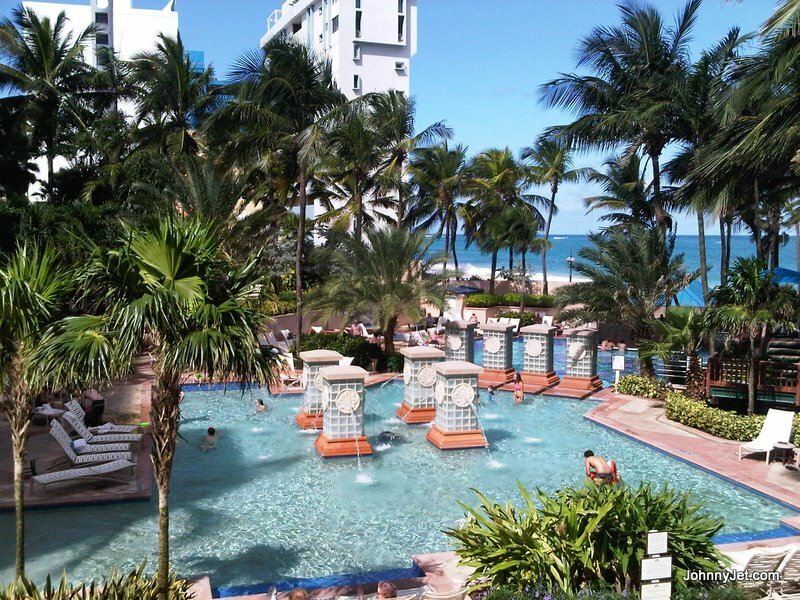 About four years ago I went on a press trip to the San Juan Marriott and made some good friends so I decided to visit them instead of rushing back to the cold. 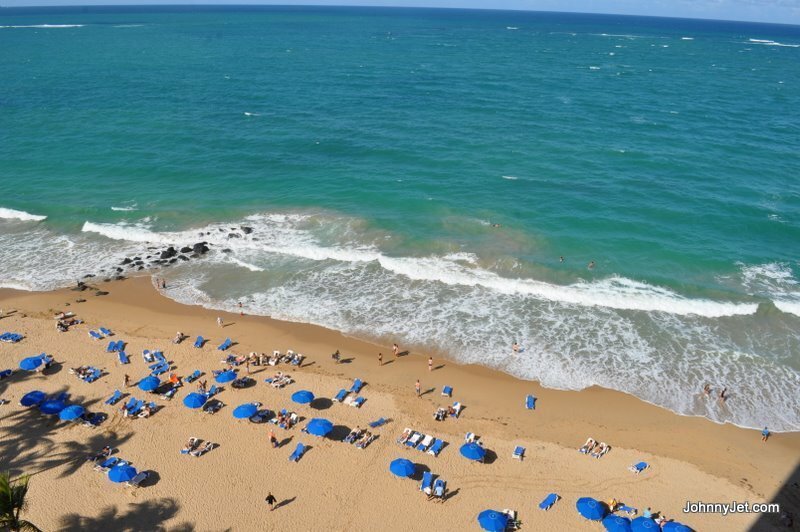 The hotel is just a 10-to-12-minute drive from the airport and located in the upscale Condado Beach area. 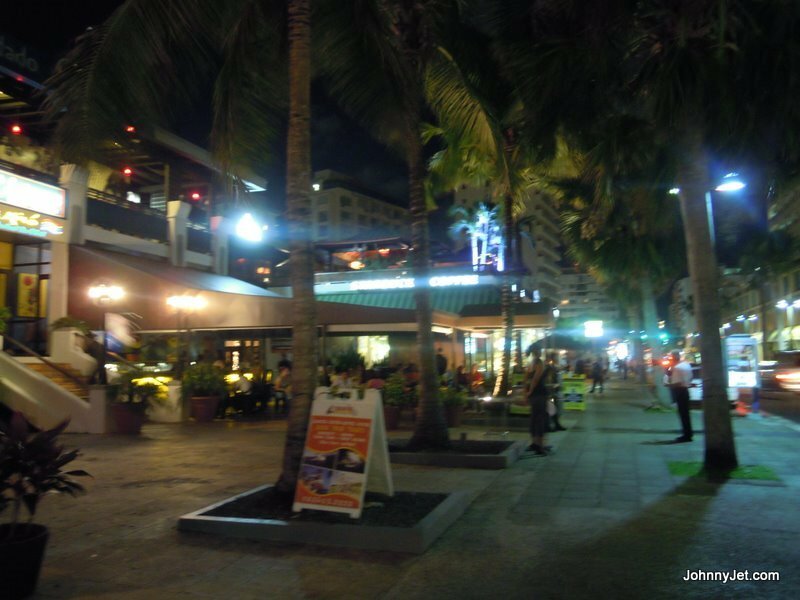 It’s amazing how much this place has changed, and the jury is still out on whether it’s for the better–walking around there feels like downtown Waikiki with all the restaurants, high-end shops, and police officers. The hotel lobby was undergoing a multimillion-dollar renovation which is set to open this week (I was a week too early) and it’s going to be really nice. 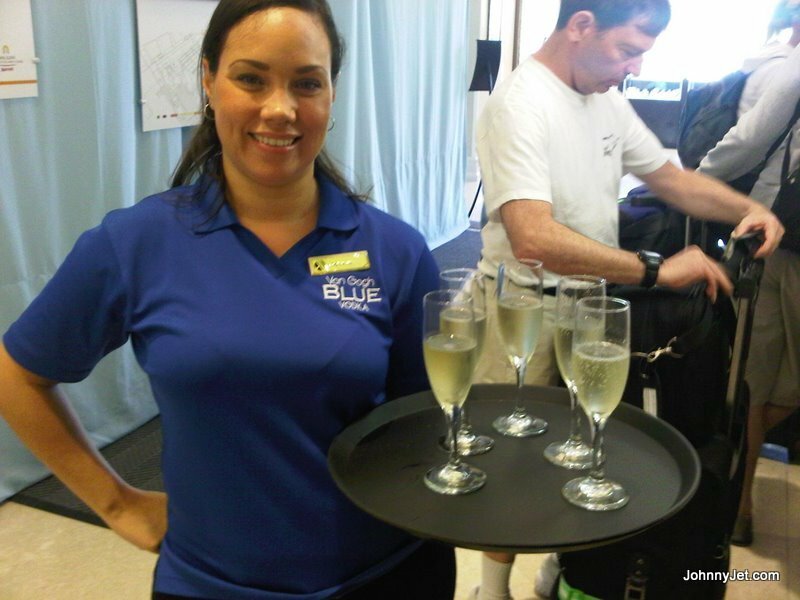 The one main change that I could see since my visit in 2008 is the hotel now offers guests a complimentary glass of champagne at check-in. Guests were really digging that. 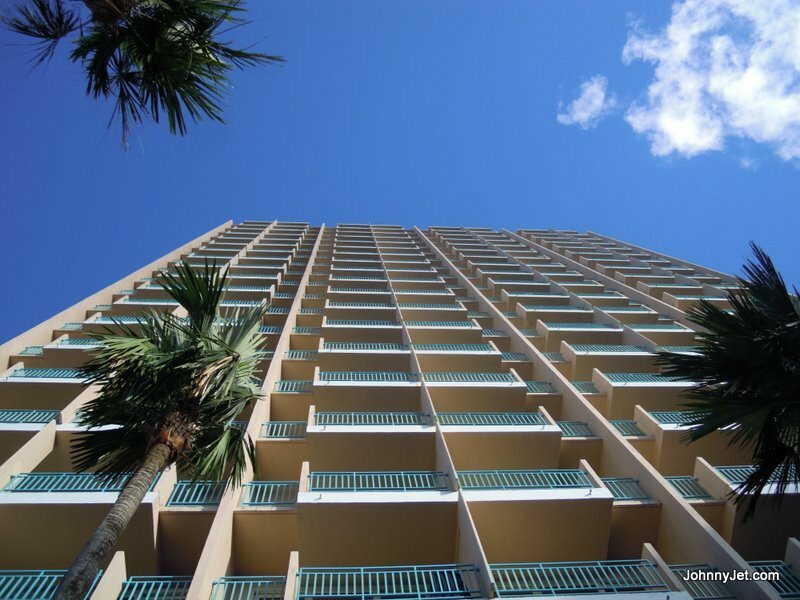 This Marriott is popular with leisure guests and one reason is because of its proximity to the airport, tourist sights, shops, restaurants, and the beach. 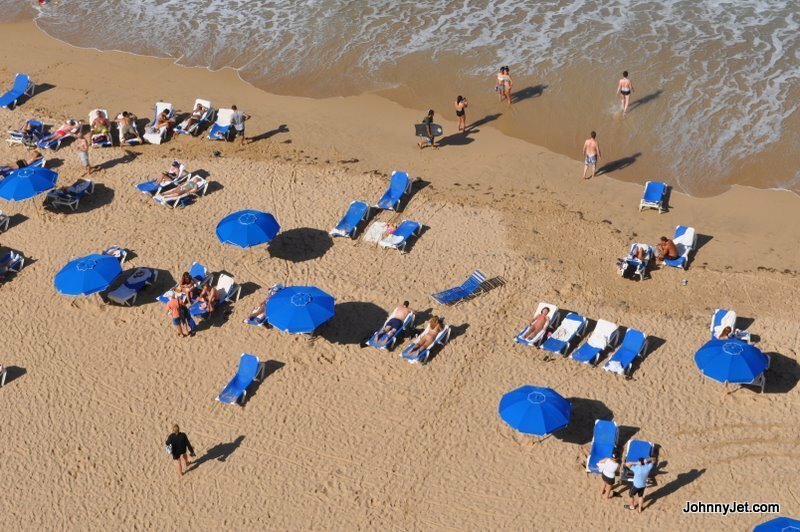 The beach has plenty of cabana boys who will set you up with chairs and an umbrella for free (they do expect a small tip), but be careful when you go in the ocean because the rip current on this side of the island is dangerous–I would save your laps for the pool. 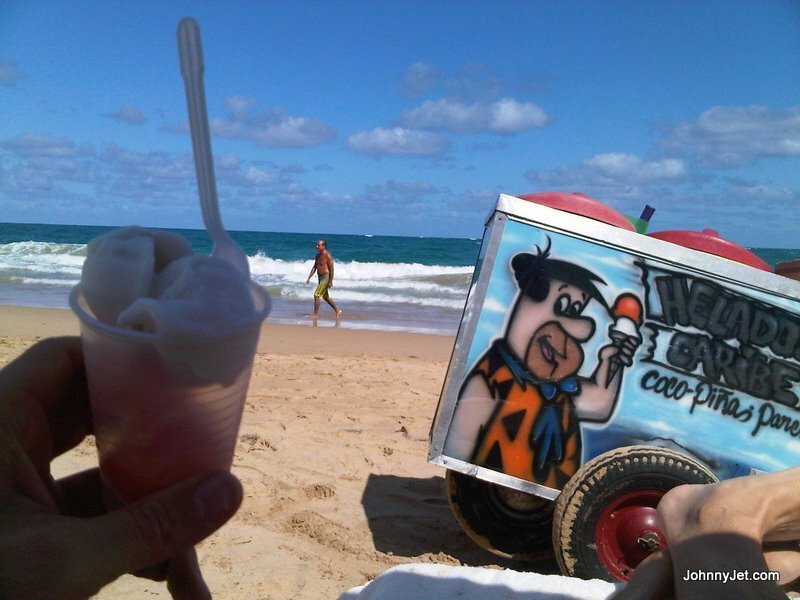 NOTE: Be sure to bring a few extra dollars to the beach to buy some local ice cream (really frozen ice) from one of the three beach vendors. I recommend buying from the two that don’t blow an annoying whistle–that guy prevented me from taking a cat nap. 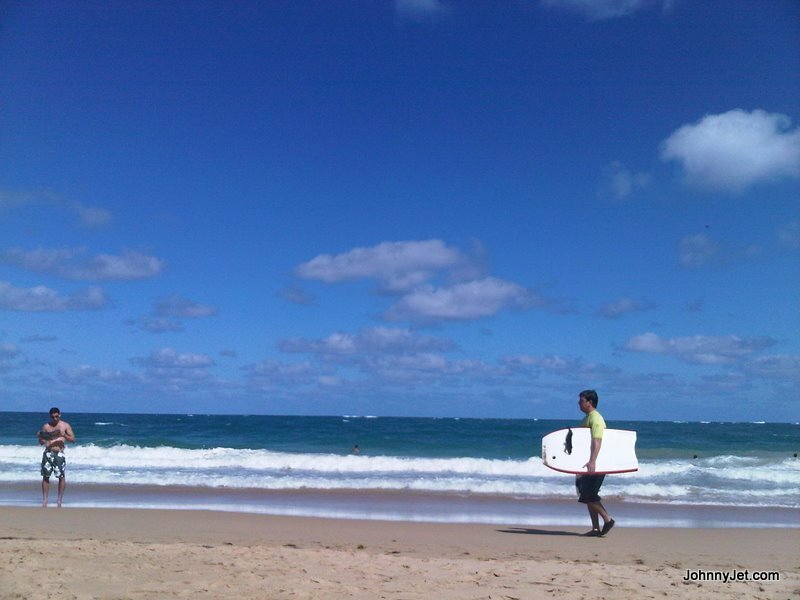 Since I’ve been to Puerto Rico numerous times and I was alone I didn’t feel like doing the tourist thing. I just wanted to relax, so I ate all three of my meals in the hotel, which normally is a sin but with the amount of travel I do I think you can understand. Also, the hotel does have a great variety of offerings with four dining options, and it’s not your standard Marriott menu. 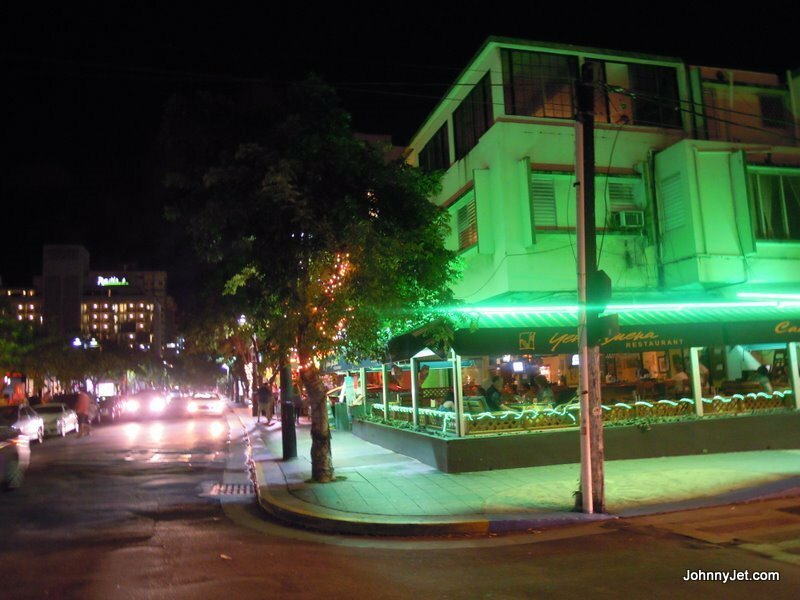 They have a fine-dining Italian restaurant, a casual Brazilian restaurant, a coffee shop, and a couple of bars. For dinner I ate outside at the beach bar since it was so nice and balmy out. 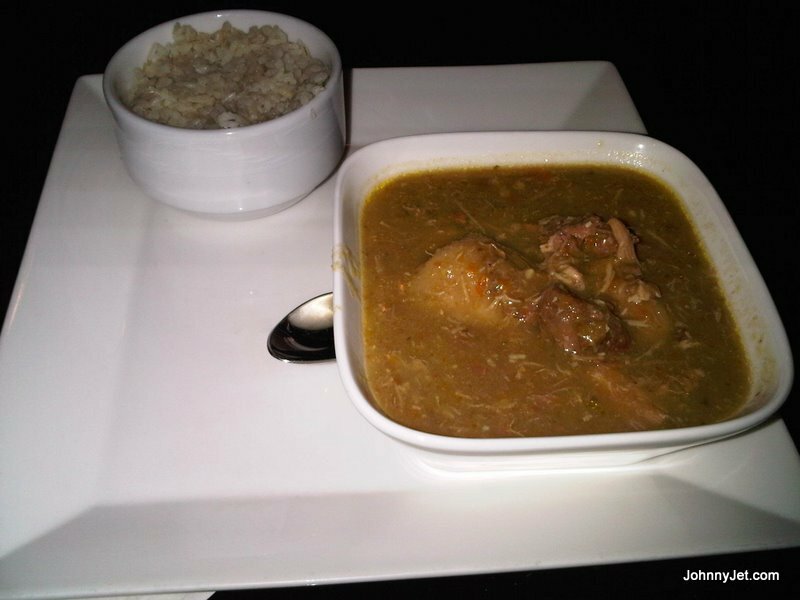 To satisfy my appetite I ordered some Puerto Rican soup ($6) to start that had chicken, beetroot, and pork in it. 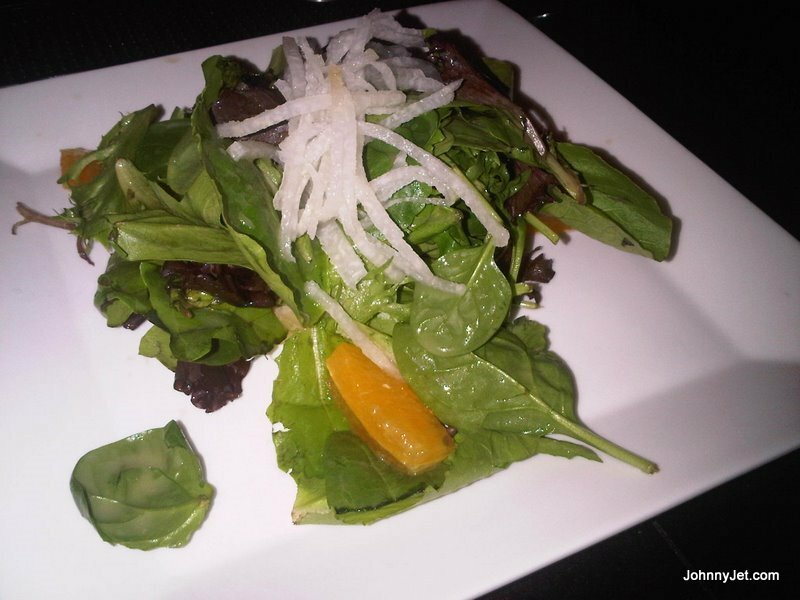 That was a meal in itself, but I also ordered the citrus salad ($8) that had pineapple, orange, and jicama on mixed greens. I also had a side of fried sweet plantains ($3.50). 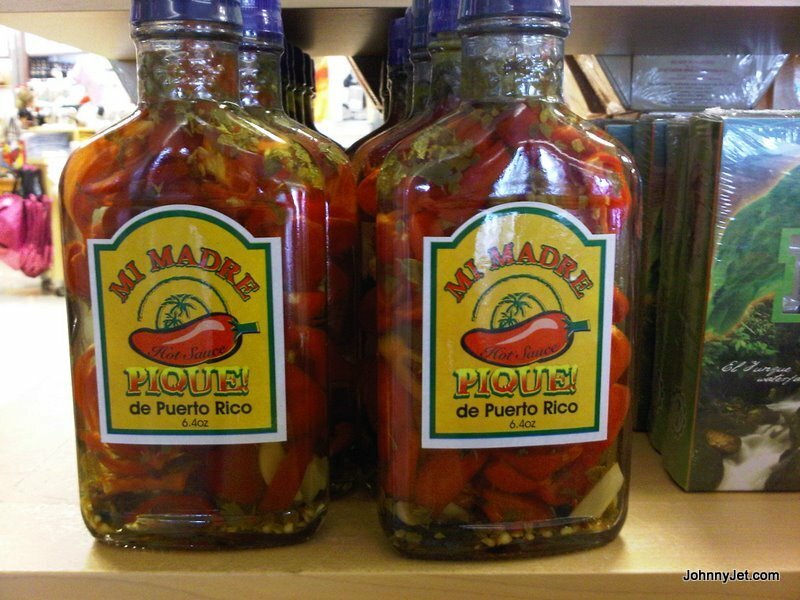 I made friends with the bartender and she told me if I wanted to get some local hot sauce to walk six blocks or so to the H&R store (next to Gucci) to get Mi Madre Pique for $4.99. 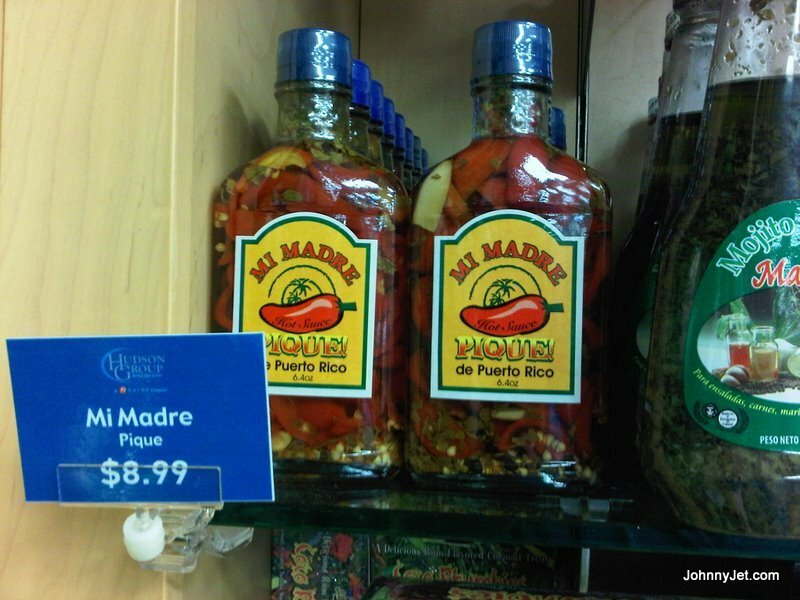 That was a wise move, because at the airport it costs $8.99. In the morning I had breakfast downstairs and it was your standard breakfast offerings, except their house-made granola with strawberry yogurt was addicting! 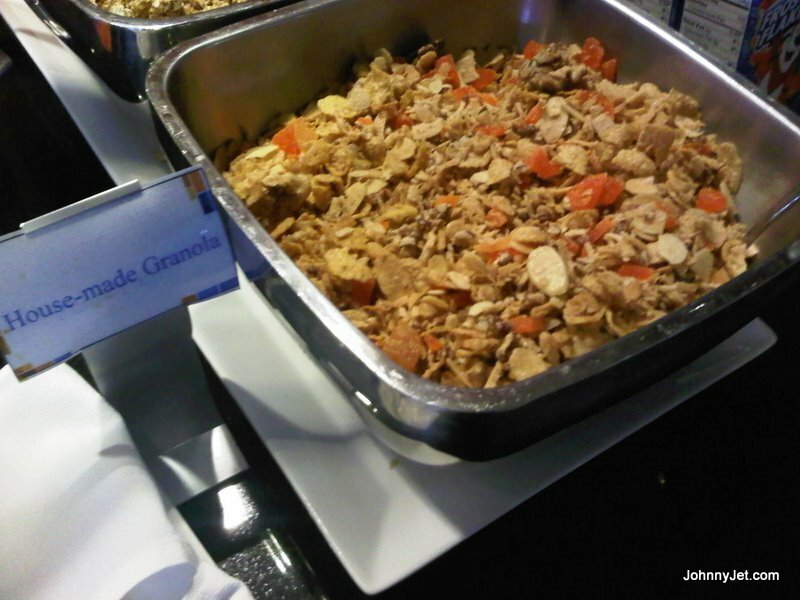 It’s part of the continental buffet which costs $11.95 (the full buffet is $21.95). BTW: The nicest person at the hotel just might be the night maid. 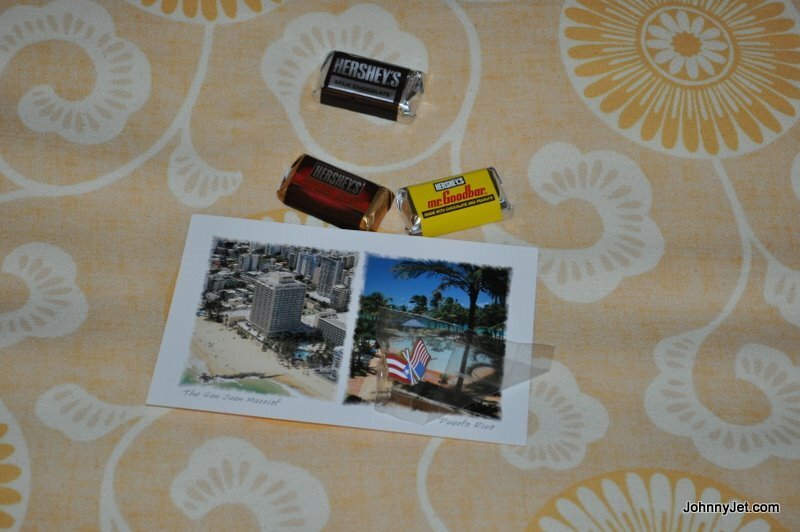 She was so friendly and left me a couple extra mini Hershey bars by the pillow along with a Puerto Rico postcard and a lapel pin of the U.S. and Puerto Rican flag joined together. 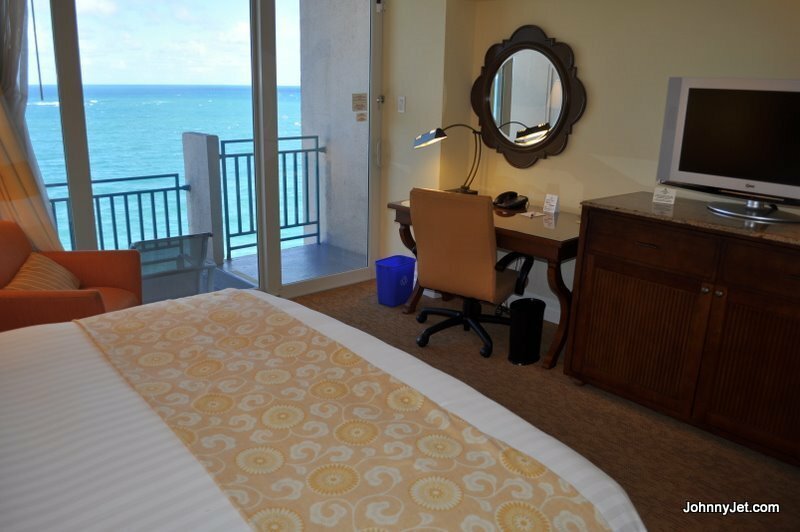 Another hotel notable: Internet access costs a whopping $18.95 for 24 hours. 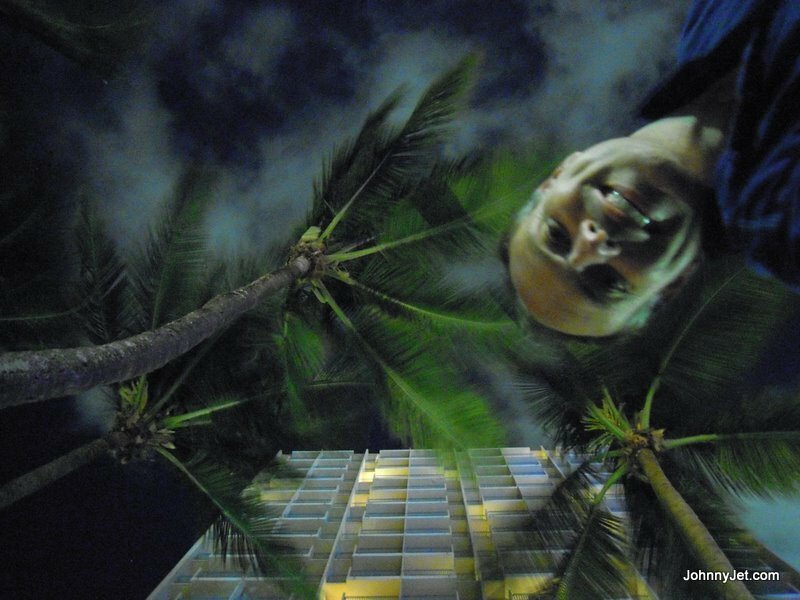 For more information see the San Juan Marriott’s website or read my story from four years ago. 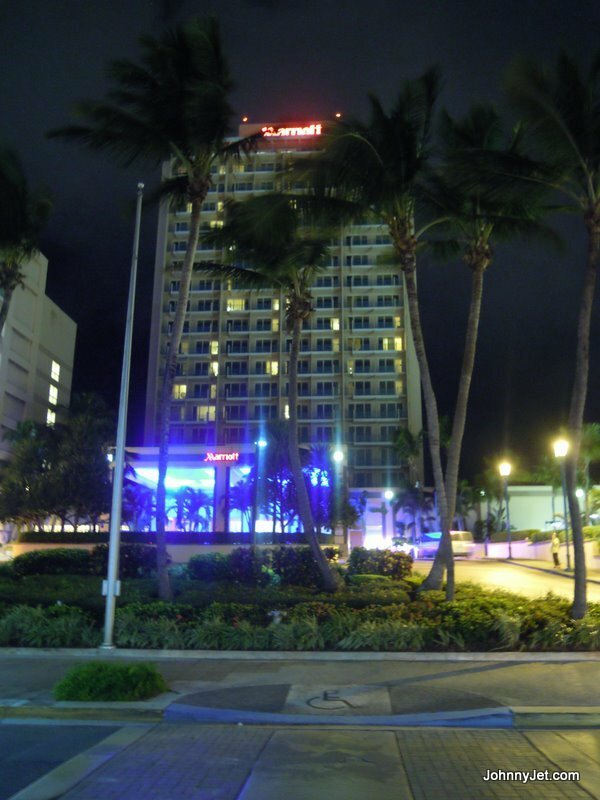 San Juan Marriott, 1309 Ashford Avenue, San Juan, Puerto Rico; tel. 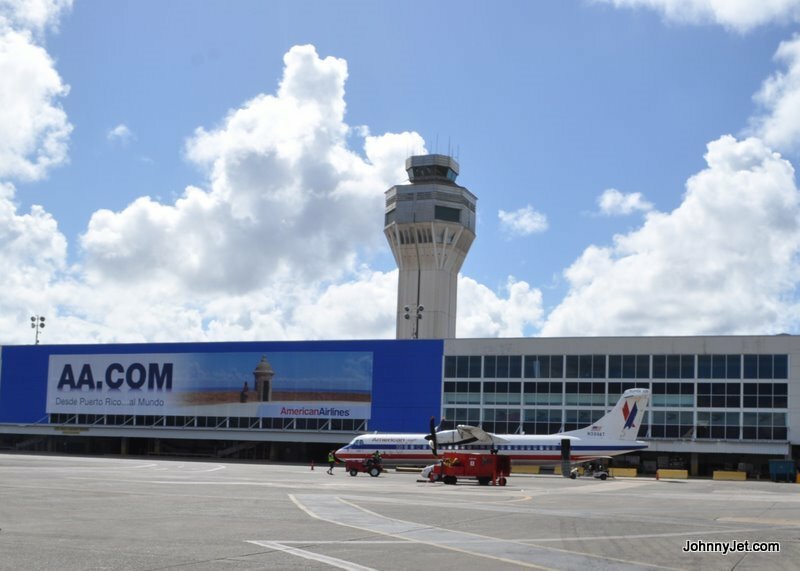 : 787-722-7000, toll-free: 800-464-5005. 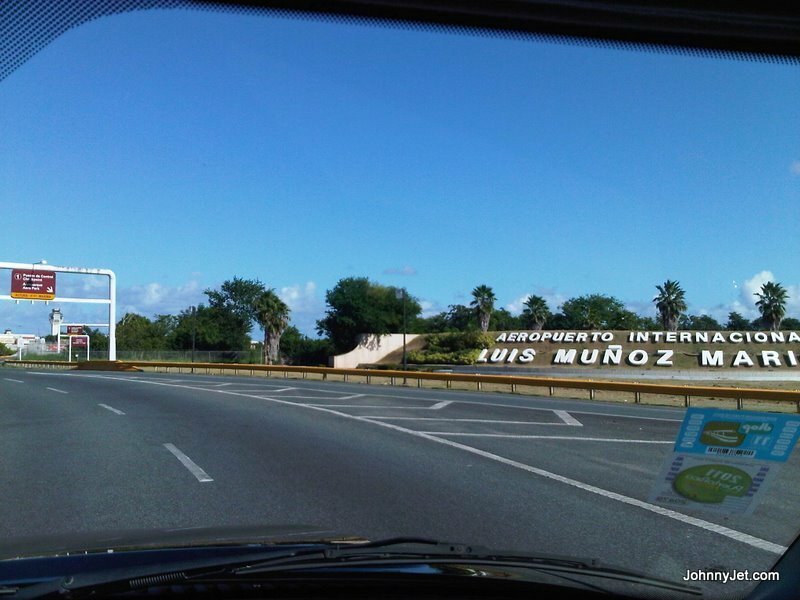 On the way to SJU my taxi driver told me all kinds of interesting facts about Puerto Rico, and the one thing that stuck with me is that it’s about the same size as Rhode Island. It’s 39 miles wide and 119 miles long. He said the guidebooks usually list the measurements incorrectly and he knows because he studied the island and drives it every day. I wasn’t going to argue. The one thing he didn’t know was where to drop me off, because Air Canada didn’t have a sign up like all the other airlines. Since I know they are Star Alliance partners with United I went to their ticket counter to ask but I found small Air Canada signs taped on the counters. The United agents working the Air Canada flight weren’t very friendly and weren’t very knowledgeable about the upgrade rules, which I thought was weird until I got on the plane and learned from the flight attendants that Air Canada only offers seasonal weekly service to San Juan and this was their first flight of the year. They operate an A321 and flight time to Toronto was 4 hours and 55 minutes, that seemed long until I learned that the flight attendants work it as a turn (meaning they fly down and back in the same day). What helps pass the time is that Air Canada has individual entertainment systems and they sell food on-board–I got a Quiznos flat-bread pizza for $7. FYI: The security line at SJU was long, really long, but luckily I have Elite status on United so I was able to use the first-class line, which had just one person in it. I highly recommend buying presents or souvenirs before getting to the airport because they don’t have a lot of choices and the ones they do have are either really tacky or expensive. 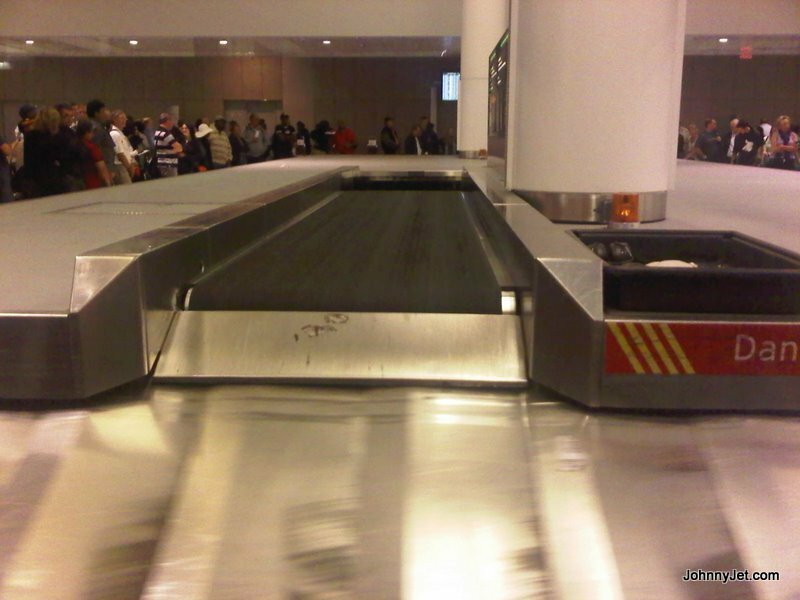 The worst part of the flight was waiting at baggage claim for the suitcase I checked (yes, I checked a bag–long story). 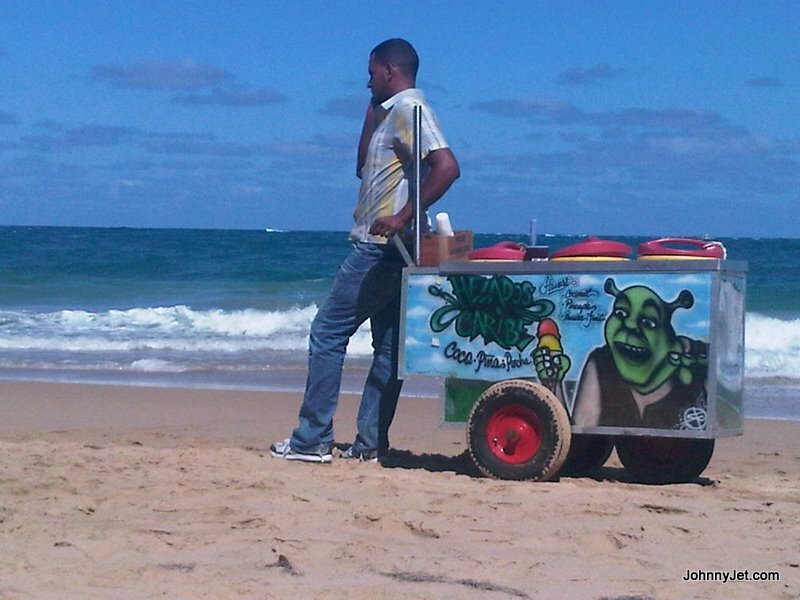 We all waited for 30 minutes in front of carousel number 8 that had San Juan listed, but nothing was coming out. Luckily a savvy passenger yelled to everyone that she found her bag on carousel number 6. We all ran there and sure enough all the bags were on it and it wasn’t even moving. Ugh, is that frustrating or what? 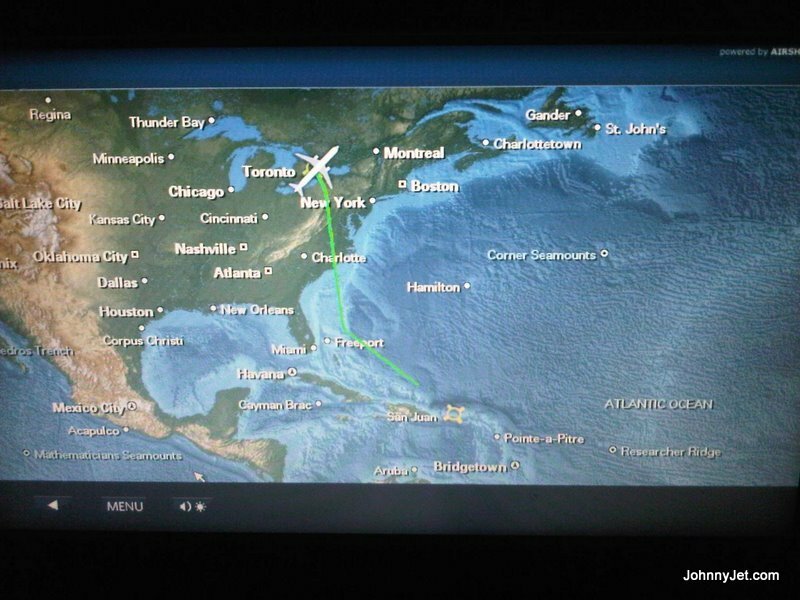 But it was a good learning experience to always check surrounding carousels even if your flight isn’t listed. In Toronto I walked through the new Four Seasons Toronto hotel slated to open in summer of 2012 and the Trump Toronto scheduled to open January 31st. 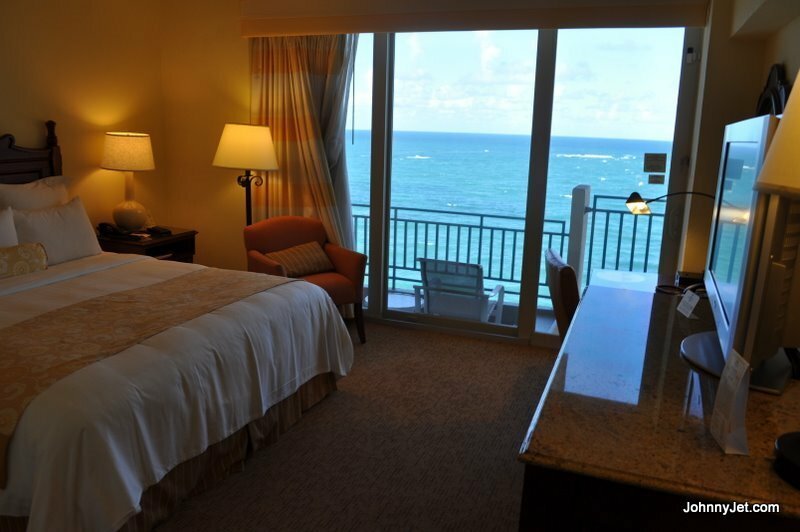 I will tell you more about these hotels at a later time–they are both going to be swanky. I can’t sign off without telling you that I went into a Canadian Walmart and found an NHL Advent calendar for $2. 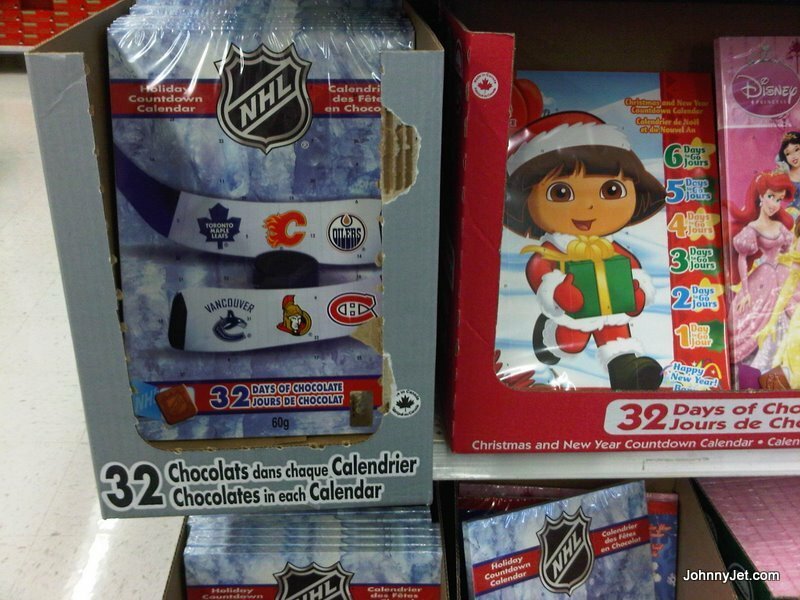 Only in Canada can you find NHL Advent calendars. I then went into a Shoppers Drug Mart and spotted the largest Toblerone bar I’ve ever laid eyes on. It weighed 10 pounds and cost $69.95. Speaking of Toblerone bars, a few days later (on Black Friday) I went into a TJ Maxx in Erie and found medium-sized bars for just $5.99. You usually see these in airport duty-free shops for $30 for three, so now you know the real deal is at TJ Maxx.